Will Stone, a Patriot sophomore, easily won the individual title with a time of 16:01.60. Photos by Todd Thompson/RiverCat Photography. 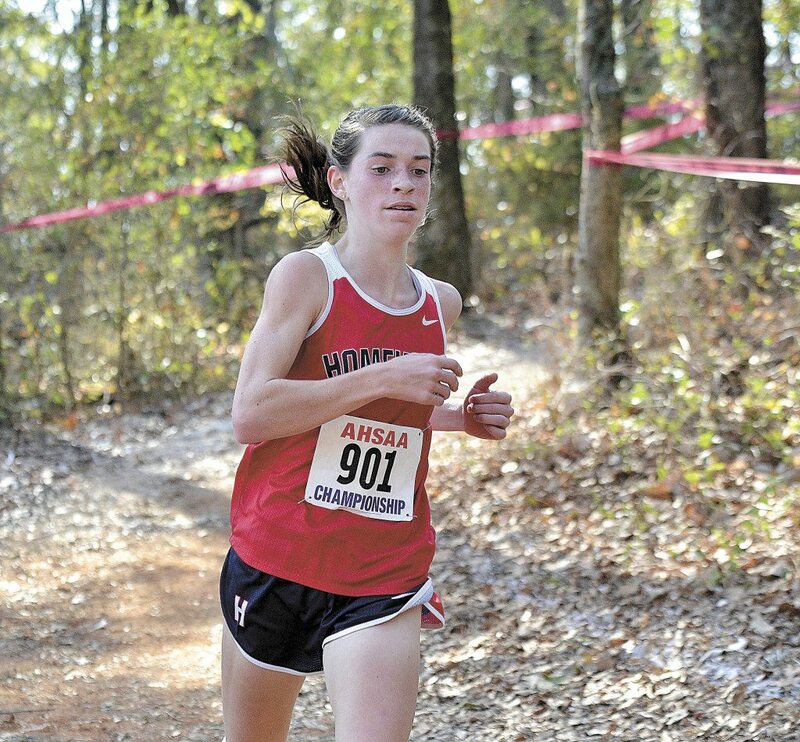 Homewood freshman Lainey Phelps took the individual championship trophy with a time of 18:02.13, the second-fastest time of the day. The state Class 6A cross-country meet took place in Oakville, but the event certainly looked as if it took place in Homewood. The Patriots swept to championships in both the boys and girls competitions, marking the fifth consecutive boys title for Homewood. 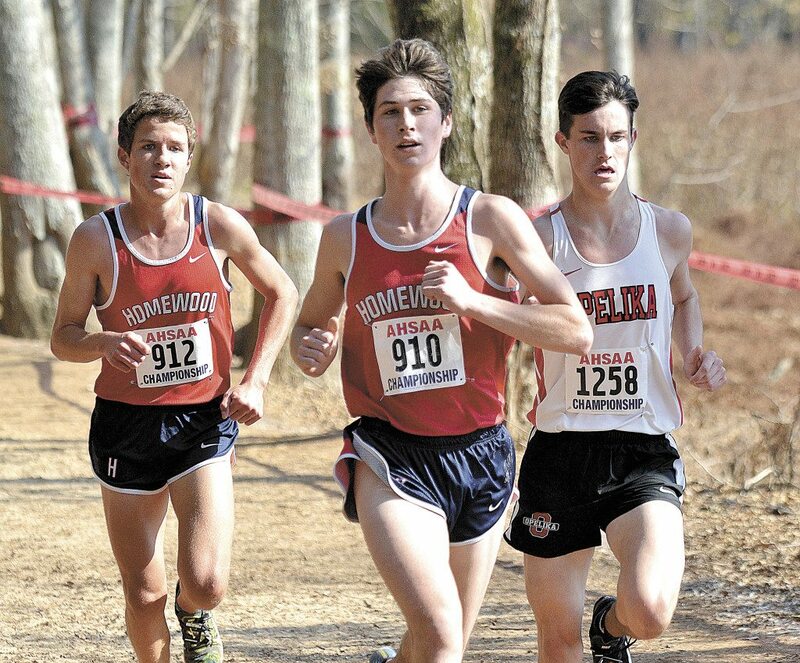 Homewood’s boys totaled 55 points to easily outdistance runner-up Cullman’s 72 total. Helena placed third with 95 points. Will Stone, a Patriot sophomore, easily won the individual title with a time of 16:01.60. He defeated Opelika’s Ben Garner by a full 12 seconds. Another Homewood runner, Paul Selden, finished third with a time of 16:17.57. Leading the Lady Spartans to a runner-up finish was senior Anna Grace Morgan, who won the individual championship. Stone finished fourth in the state cross-country meet as a freshman last season. In girls competition, the Lady Patriots scored 51 points to claim their title. Florence was a distant second with 103 points. John Carroll Catholic was fourth at 132. Freshman teammate Celie Jackson was fifth in Class 6A with a time of 19:32.26. In Class 7A boys, Auburn won with 59 points. Mountain Brook was second with 69 and Hoover third with 93. 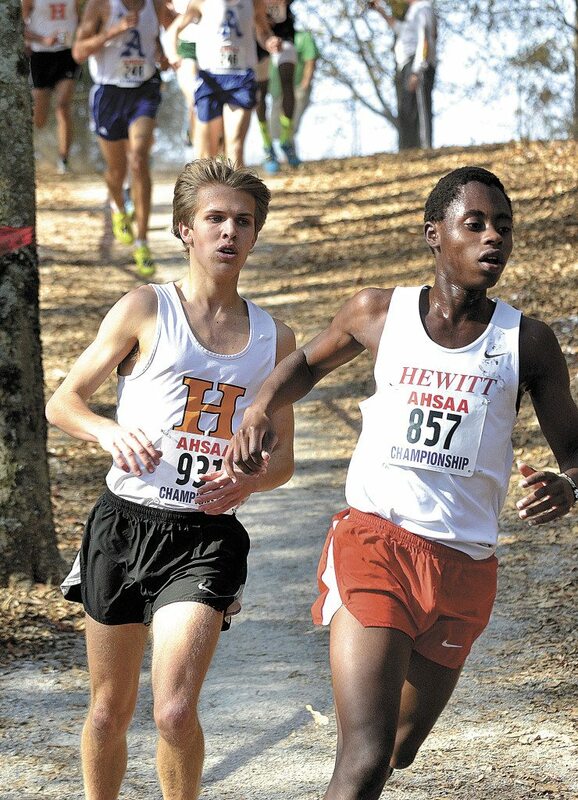 The Bucs’ Tommy McDonough earned the individual crown, edging past Hewitt-Trussville’s John Ngaruiya with a time of 15:39.70. In girls 7A competition, Mountain Brook’s 14-year streak of winning the state title was snapped by Huntsville. The Lady Panthers pulled the trick by placing four runners in the top 12 and scoring 51 points. Leading the Lady Spartans to a runner-up finish was senior Anna Grace Morgan, who won the individual championship. Her time was an impressive 17:46.01, the fastest time in the girls competition. Mountain Brook scored 61 points. 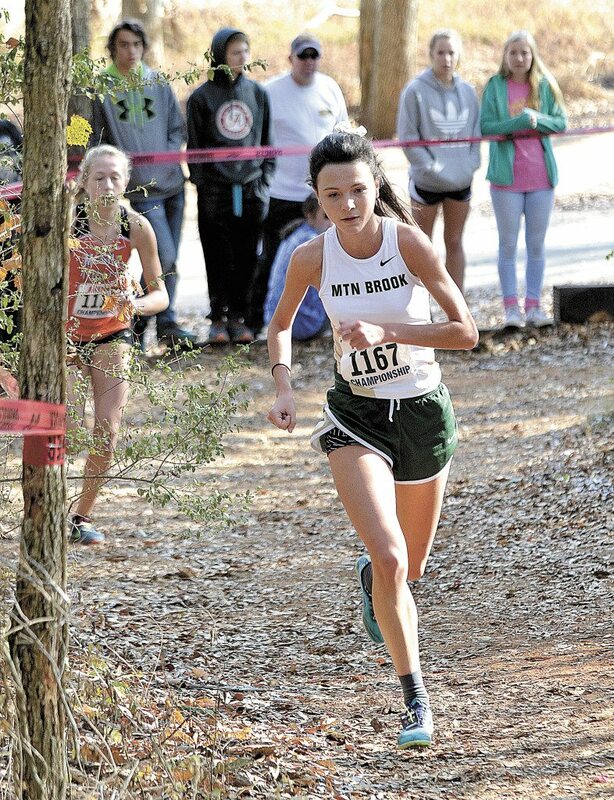 Morgan, whose older sister, Madeline, also was a running star at Mountain Brook, said mental toughness is a key ingredient for success in cross-country running. In Class 1A-2A competition, Oak Mountain Westminster won the girls title and finished third in the boys division.